Search Engine Optimization, also known as SEO is a very effective parameter which is used for boosting user traffic and engagement on websites. According to statistics, nearly 93% of the online experiences usually start with a search engine. Also, 70% of the internet links which people click tend to be organic. As far as inbound marketing is concerned, there is no other technique which delivers better results. One of the major components of SEO is the way content is written. The most basic challenge for online content writers is writing the content which is effectively optimized for internet search engines and also appeals to the readers at the same time. WordStreamis an excellent online marketing software platform which provides advertising options and also optimizes any content desired by the customer. A part of this software is the free Keyword Tool which comes along with it. Through this tool, the user can improve his/her search results. Custom-made and advanced filters can be added along with imputing of personally gathered data on the user’s account. The best thing about this tool is that it is absolutely free. 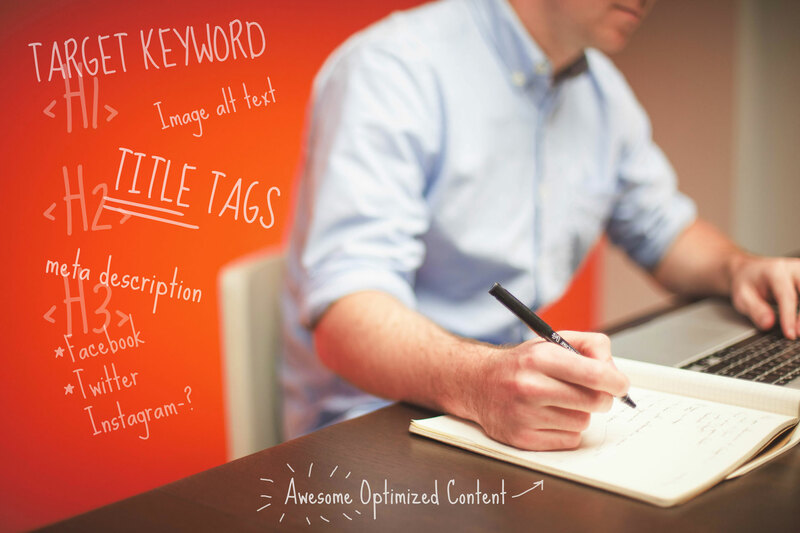 Another major component of SEO is the efficient use of keywords. Many marketerstend to make a mistake in this area and do not use this effectively. Some may over-do it to an extent that might make the content feel ‘stiff’ and almost impossible to understand for the human mind. With Small SEO Tools Keyword Density Checker, the right keywords can be chosen by checking their density, percentage and frequency. Ahrefs Keywords Explorer is an excellent tool that helps writers come across trending keywords. It has a huge, multi-country database of more than 5 billion keywords that are presented with precise metrics. Its feature, Search Volume,makes use of users’ clickstream data, whereasestimations of Keyword Difficulty use the quantity of referring domains. Moreover, the dashboard hasexclusive metrics to decide traffic probability for every keyword. This is a great tool which analyzes the present SEO and also lets users look through every text bit. It also sees statistics and the possible outcomes of placing a selected keyword at a place. Users can look through external and internal links both. It is widely known that conducting a thorough analysis of the meta information and the content before publishing it on the website is fairly important. This tool allows for a strict focus on the optimization process itself. Through this tool, customization of texts, assignments and papers can be accomplished easily at a fairly reasonable price. There is also a proofreading option which can prove to be quite helpful. It is a great writing assistance tool which analyzes text carefully to see if any further optimization is possible. Proofreading allows for a successful grasp of the text flow, also its readability. This essay-on-time software also provides a general score which indicates if the user’s work is accurately optimized. In case the keyword density is too much, it notifies the user and other issues present in the text are also highlighted. Custom Essay Writing Services such as Handmade writings and Writings Guru make use of such editors to ensure that their content is fool proof. The option of counting words in a content piece may not always be possible as Microsoft Office or any other similar software may not be readily available. In such circumstances the software of Easy Word Count provides a good indication of whether the word count is the same as much as the user wants. The software recognizes the importance of the right word count. Too many words will cause the reader to get fatigued and lesser words may cause the reader to fail to understand what the article says. It also allows for an assessment of typing rate of writing content. Slick Write is also a great content editor which allows users to get rid of any complications and redundancies that may be present in the content. The main target of this tool is to highlight phrases that are overly wordy, have redundant words and adverbs. This tool allows for appropriate condensation of your text and dropping all unnecessary words. This can directly impact user traffic in a fairly short time period. The best part about this application is that it is absolutely free and makes it convenient to check content for grammatical mistakes, style and other similar features. This tool will allow the usage of better grammatical structure and wording which will consequently improve content’s readability and impact. This writing and editing application not only helps in better writing but also makes the experience of writing and editing content a lot more fun. This software includes features such as sentence rephrases, grammar checker, text and translations reader among many others. Conducting competition analysis is just as significant as understanding what optimized texts should feature. Fortunately, there are several tools you can use for the purpose. When it comes to competition research, SEMrush is one of the safest bets. You will get a detailed domain overview that features the keywords your competitor is ranking well for, whether they’re carrying out a paid search campaign, the number and types of backlinks that they have and the main organic competitors of the respective domain. It lets the user edit their content accurately. In summary, it can be said that where content is the king, content-writing is the art of king-making. Good content is impossible without techniques of good content writing. Having the proper knack of expression will allow for engagement of readers which is the most important factor. However, the real attraction of readers will require for the website to climb on the ranks of Google and be on their first page. Usage of the above cited tools will allow for better SEO optimization of website and more clicks can be garnered effectively through them.